Using filters can seem like a task, and there is a lot to process when trying to get started with them. What do they do and when do I use what filter?, is a question that I get often. As well, more recently people have said to me that you don't need filters anymore "because you can just edit the image after in post-production." In some cases this is true, but in others not at all. Have you ever seen a waterfall image where the water looked super smooth and silky? Well, I can guarantee that there was a filter used to get that shot. It would be a much larger task to try to recreate that effect in Photoshop than it would be to just throw a filter on the front of your lens. With this post I am going to break down the filters I use for landscape photography and also recommend a good starting point for you if you are just getting started with filters. For years I made due with the filter system I had, and it work well enough to make good images. But, with landscape photography you are often bumbling around in the first or last light of the day so ease of use is a must. This is exactly what my new Lee Filter System gives me. Full disclosure, this is not an endorsement for Lee Filters. I purchased their product after some serious research and deciding that what they had to offer was what would work best for me and my landscape photography. The first piece of the filter puzzle is the wide angle adapter ring. This is a ring that thread onto my lens that allows me to quickly attach and remove the filter system to the lens. This is nice because it allows me to not only unpack and pack up quickly but also take the system off the front of the camera to add or remove filters while shooting. The reason I need the wide angle angle ring is that I often shoot at extremely wide angles, up to 16mm wide. This ring is set back on the lens and allows me to shoot at these wide angles without vignetting, (without the lens seeing the filter holder). It's also important to mention that these rings are available in a variety of thread sizes that will fit your specific lens. The thread size of your lens can be found on the front of your lens. The Lee 100mm Foundation filter holder with three slots available for filters. 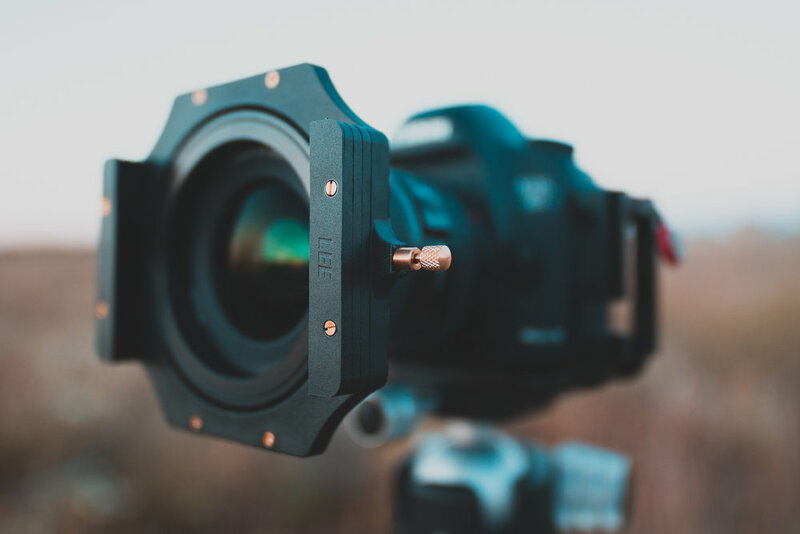 The filter holder is a vital part of the filter system, it is what allows you place your various filters in a precise manner in front of your lens. In the past I would hold my filters in front of my lens and although this did work I often found myself missing shots because I would have to be very still during long exposures. The filter holder allows you to go hands free and put the filters exactly where you want them. you might ask, "why would he hold the filters if there are filter holders"? It goes back to the adapter ring issue. I did not have a filter system that allowed me to shoot super wide, (the camera would see the filter holder), so instead I would just go without a thread and holder and just handhold the chunk of glass. This inconvenience was a big reason why I finally decided to upgrade. Hazy images and freezing cold hands eventually won the day. 1. "Saturate" (bring more colour), into your images. The Lee 105mm Circular Polarizer permanently mounted to the Lee foundation filter holder. These are important aspect of your landscapes that you should always be considering. Rather than pushing saturation in post production and degrading the image you can do it naturally with the circular polarizer. When it comes to glare or reflections, sometimes they are wanted and other times very unwanted. One example would be shooting into water, a common occurrence as a landscape photographer. If the rocks under the water are super cool you might want to take away the surface reflection in order to be able to see the rocks better, something that is pretty difficult to do in post. On the other hand, maybe the water looks amazing and super contrasty with reflections enhanced. 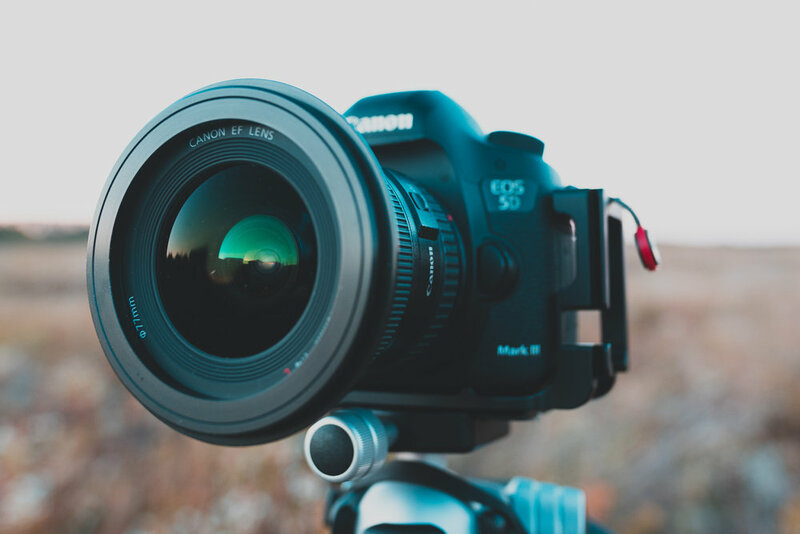 To change the effect of the polarizer you must physically spin the filter in a circular motion, in doing so you will either increase or decrease the desired look that works for your image. In all situations the circular polarizer is your go to tool, you gotta have one in the bag to be a landscape photographer. One more thing worth mentioning is that a polarizer reduces the light hitting the sensor by around two-stops so you will have slower shutter speeds, something to think about. The three-stop filter on the left and the 1-stop on the right. 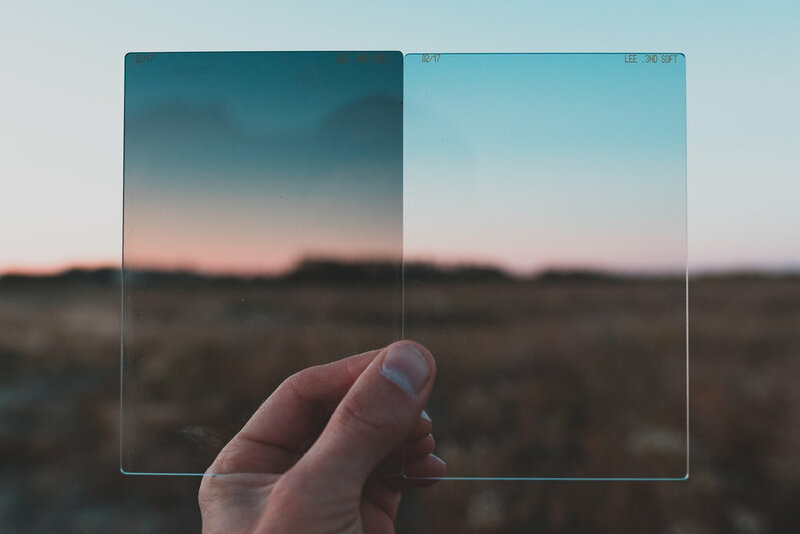 Graduated filters are explained pretty well by their name as they start with a degree of darkness at the top and it is gradually reduced to nothing at the bottom. Now, the question of why. 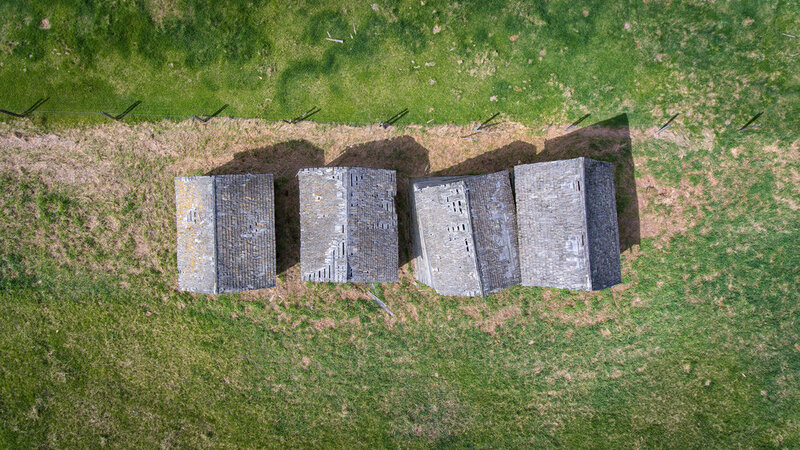 The reason landscape photographers use these filters has to do with the uneven amount of light from the top of a scene to the bottom. Have you ever taken a photo, lets say of the horizon over the ocean or a mountainscape, and had either the foreground too dark or the sky way too bright? Ya me too! These little guys even out the scene so that both the sky and the foreground are of equal brightness, (are properly exposed). They come in a variety of hardnesses, (the amount they gradually change). With Lee they range from soft to very hard. I know I know, it sounds like a exert from a dirty movie but get your mind out of the gutter eh. I chose the soft because I am often shooting landscapes in the mountains where the line between the foreground and the background is jagged uneven mountain. With the soft grads I am more able to reduce any unwanted effect after in post. If you find that you shoot a lot of ocean scenes or prairies the hard or very hard grads might be the best option for you, and if you want a good allrounder maybe choose the medium. Using these are pretty easy, just try to line the dark edge up with your horizon. I find using live view is works well to achieve the desired look. The set that you get with Lee is come in three different darknesses that allow you to choose based on how bright your sky is. 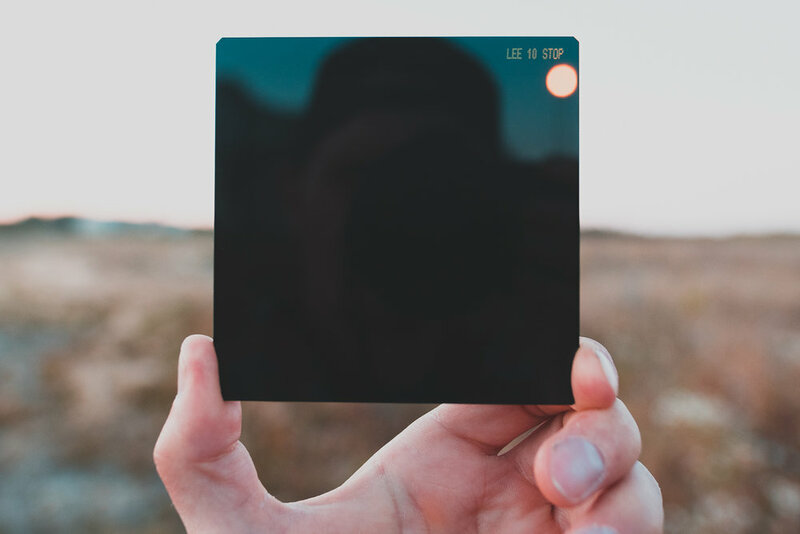 The Lee 3-stop Neutral Density Filter on the Lee foundation holder. This filter is a go to for me. Based on the time of day I like to shoot at it allows me to slow my shutter down just enough to create some dramatic movement within the scene. With this filter plus my polarizer and a graduated filter I can get exposures that are long enough to smooth out waves as well as give the clouds subtle movement. Like I said this is a filter that suits me and the style of landscape photography that I like to take. My advise is to try different exposures and once you find something that you use commonly invest in the filter to accommodate your needs. The ten-stop filter is without a doubt my favourite filter in my entire bag. Even though I use it the least of any filter it can do so much for my images. So how does it work, you might be asking? The filter is made up of very dark glass, like welding glasses thick. What this does is allow less light through to the sensor, ten stops less to be exact, forcing the shutter to have to be open way longer, in order to properly expose an image. It is this long exposure that allows for movement in things like clouds and water. I call it my lifesaver filter because it really has the ability to bring a dead image to life. I love the ten-stop filter so much because it allows me to shoot landscapes in the middle of the day, when the light is not awesome. It allows me to create very moody and dramatic scenes when they would otherwise be flat and uninteresting. One example of this is of an old church that I was shooting a few weeks back. In the first shot you see it without a filter applied. Keep in mind that this shot, that was taken during the peak of the good light of the day. It was one of those nights where the light just never came. The clouds were too heavy, therefore the suns rays were not able to make it through enough to impact the images colour or contrast. In the second image you can see what the ten-stop filter is doing for me. It has slowed the shutter speed down to the point where the clouds are moving almost completely through the image. This makes for a very dramatic scene. Although I did recompose the image and move to the profile of the church this was honestly only about five minutes after the first image was taken. In the first image the shutter speed was a fast 1/8 of a second and it the second the shutter speed was a long 124 seconds, roughly two minutes! So you can see how the filter salvaged the 45 minute drive out to this old church. That is why I love this thing so much. The bottom line is that filters can do wonders for your landscape images but there are a lot of them to choose from and once you commit to a system you begin to spend a lot of money very fast. I have been using this system for some time now and I can say with confidence that it has worked well for me. 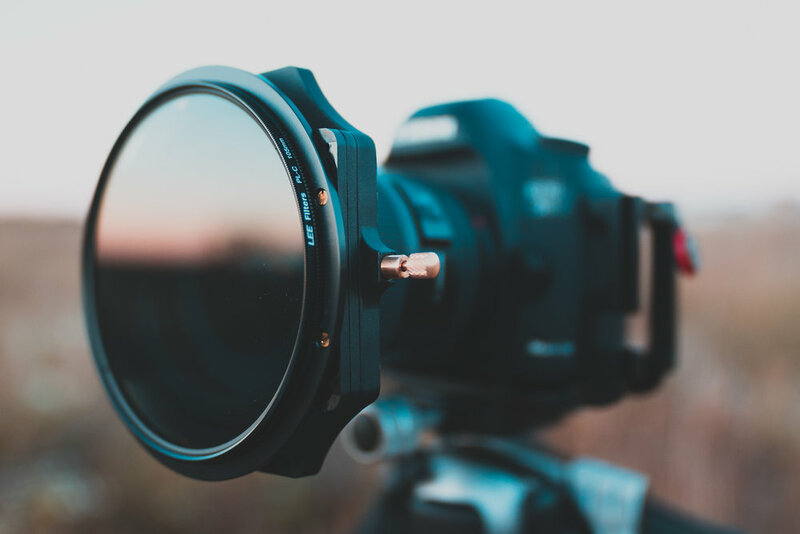 Although this is an ideal setup that covers all the basis I think a good staring point would be a circular polarizer a 3-stop graduated filter and I would spring for the ten-stop filter. With the ten-stop there are also screw on circular versions, these also work very well. Pair this all with a holder that fits and a ring to match your favourite landscape lens and you can't lose. This introduction to filters is just that and there is so much more I could say about each of these filters. I could even do an individual post for ever filter within this post. I hope this helps you on your way to successfully understanding the filter game a little better. Look for some before and after with each individual filters in future blog posts and thanks for continuing to read and support the blog, happy shooting!